Daleville residents were without a library to call their own for many years, having had only a satellite branch of the Muncie Public Library. The closest available libraries to us were found in Yorktown and Middletown, some 10 minutes away or more. However, local citizens had a dream for a new facility to serve Daleville residents and patrons. They wanted a new library that would be funded through annual memberships and donations, rather than tax dollars. Thus, the plans for the Daleville Community Library were started. 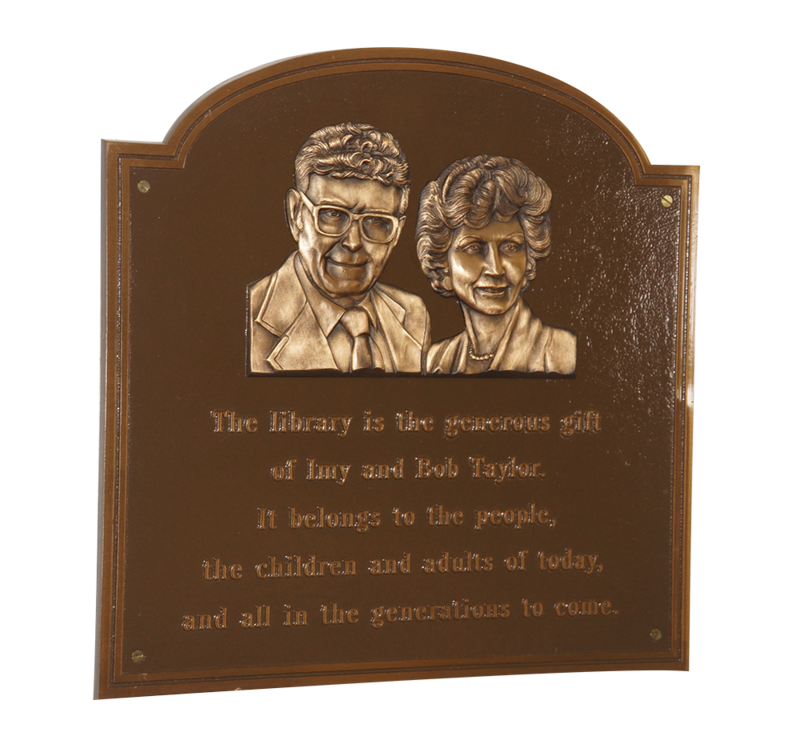 Ground-breaking for the Daleville Community Library began in 1996, after local couple Bob and Imy Taylor donated the land and construction for the roughly 4,000-square-foot building – a gift totaling about $700,000. In addition, the generous couple donated $200,000 in an endowment fund for the library. The Daleville Community Library opened its doors on June 1, 1998. Since then, many families have enjoyed the benefits of library membership. You don’t have to be a resident of Daleville to enjoy our library’s many services. Our library provides services to readers, regardless of where they live, for only $20 a year. Unlike virtually every other library in the state, the Daleville Community Library does not receive tax dollars from the government. Our privately funded library raises funds through many successful activities throughout the year, such as an annual golf outing, grants, patron membership fees, granite tablet inscriptions, and countless generous donations from loyal patrons like you. Interested in learning more about the benefits of membership? Don’t hesitate to contact us today!